The Finwing 9x6 Electric ABS propeller is designed to match the recommended propeller for the Finwing Penguin, but will provide great performance and reliability at all levels of use. These propellers are designed to provide maximum strength and stiffness which is beneficial to minimise noise, vibrations while delivering high levels of thrust. 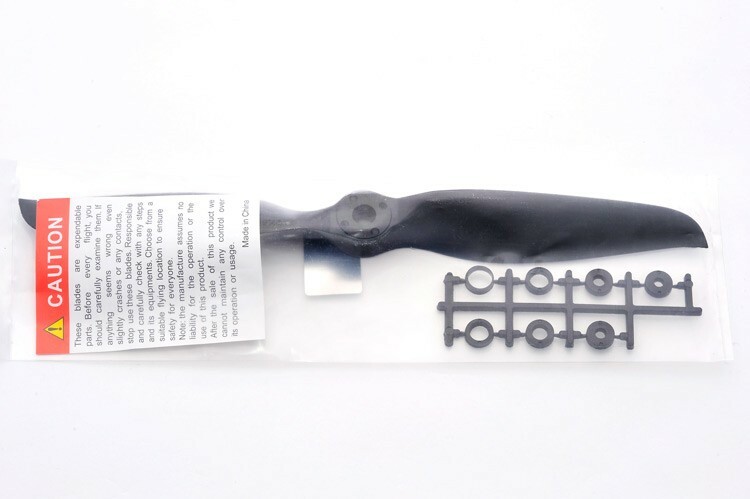 Reinforcing fibers help to maintain true and constant pitch at all RPM's, these propellers are only suitable for electric motors (not for glow engines). The prop hub diameter without a hub insert is 8.0mm and can be drilled out to a maximum of 9.6mm.